The process to EQ vocals isn’t hard when you look at the primary areas to change and proceed from there. Let start off with the basic vocal eq settings and the details behind them. Then, let’s dig deeper. General: Roll off below 60Hz using a High Pass Filter. This range is unlikely to contain anything useful, so you may as well reduce the noise the track contributes to the mix. Treat Harsh Vocals: To soften vocals apply cut in a narrow bandwidth somewhere in the 2.5KHz to 4KHz range. Get Brightness, Not Harshness: Apply a gentle boost using a wide-band Bandpass Filter above 6KHz. Use the Sweep control to sweep the frequencies to get it right. Get Smoothness: Apply some cut in a narrow band in the 1KHz to 2KHz range. Bring Out The Bass: Apply some boost in a reasonably narrow band somewhere in the 200Hz to 600Hz range. This is all well and good, however, using vocal EQ isn’t as simple a a+b = great vocal EQ. Therefore, let’s dig into the details behind vocal EQ. When a voice is recorded through a microphone, we need to add a bit of EQ to the voice to bring out its natural qualities. For example, when you hear me talk in a room, you hear some natural reverberation in the room. In EQ’ing, you can add that natural reverb back in because the microphone might not pick it up in your particular recording environment. Additionally, vocal EQ’ing is performed to enhance the vocals so they sound best in our environment as well as within the band and within the song. And this is where most of your work is focused. Each channel on a mixer usually has an HPF (high pass filter) button. By pressing this button, we are dropping all audio frequencies below a certain level. As an example, I’ve got a Yamaha mixer with a “/80” button – which means HPF and drop all freq’s below 80 Hz. Freq’s this low are typically your low bass notes and kick drum. If any low frequencies seep into the vocal microphone, they can muddy up the sound. So, it’s good to use a HPF on any channel that’s not dealing with low-end frequencies. 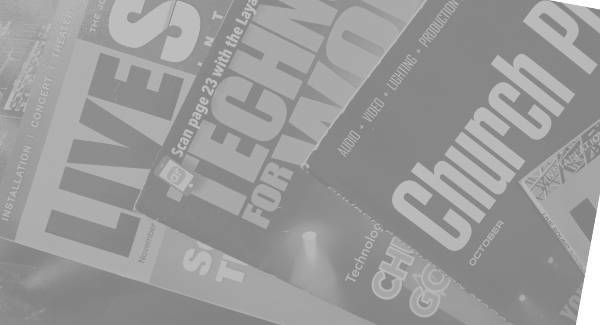 With experience, you might find some vocals sound better without the HPF but if you are new to sound, HPF is a good place to start. This is where a lot of what is being done is dependent on the type of mixer you have. For example, if you run an analog mixer, you most likely have a semi-parametric EQ. This means you EQ via knobs on each channel with control for gain (amplitude) and the center frequency, however, you can’t control the width of the affected frequencies – the bandwidth. Thus, your EQ adjustments affect a wide range of frequencies at once – like moving a mountain peak back and forth – it means you have to move a lot of the mountain with it. Some EQ’s allow the user to work on EQ like a surgeon, making freq cuts/boost in very specific ranges. Harsh vocals can be reduced by sweeping over the mid/ high-mid frequencies until you hear the harshest vocal sound. Then you cut (reduce) those frequencies via the EQ. This would be the case with a parametric EQ where you can control the center frequency, the gain/amplitude cut or boosted, and the bandwidth, sometimes known as the Q. As for “brightness,” much of your high frequencies control how bright and airy a vocal can sound. For example, crank the high EQ all the way up during a practice on a vocal mike. It will be very airy and then you can reduce it to where it sounds good. So much of what sounds good comes with having a good ear and knowing your music. 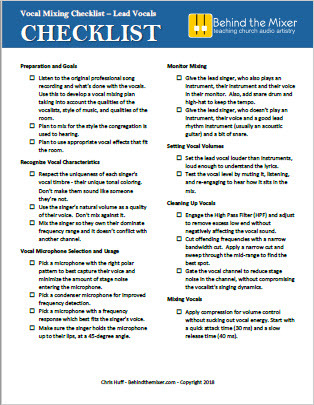 “Smoothness” – much of the natural freq’s of a voice are in the mid-range freq’s. By cutting or boosting in the mid-range, we can optimize the sound so it sounds best. We can also boost or cut to separate it out in the mix from other vocals and or instruments that might be vying for the same frequencies. Think of it like this, a bass is low end. A flute and even a drum kit’s high hat are on the high end. You want to fill up the sonic space (freq’s) with as much as you can over the whole range. When you get a bunch of stuff in the same place, that gets you a muddy sound. Same with bass, boost a little or cut…or not. Here’s the thing…the best thing you can do is get a solo track of a vocal on CD (or do this during practice). Move the EQ dials, one at a time, to an extreme. Once you hear what is bad, it’s easier to then move the dial until you hear what sounds good. We just need to know the bad to help identify the good. Additionally, if you have singers with slightly wavering voices or young singers – teenagers, you can add a little vocal reverb effect that will even out their vocal fluctuations. I play golf and I used to smash the ball as hard as possible with whatever club I used. Because of this, my accuracy left a lot to be desired. One day, a pro told me to use the next club up and swing easy. As he put it, “let the angle of the club do the work.” My accuracy increased and my score dropped – a double win! I’ve adapted this idea into microphone selection. I pick the microphone that does some of the work I need. For example, I pick a vocal microphone with a natural EQ bump or cut that is what that singer needs. Check out this post on vocal microphone properties. Maybe it’s something deep within our minds that says “if there is a problem with the sound then we need to boost the problem area.” However, when it comes to EQ and even cross-channel balancing, this is not always the case. Cutting frequencies is often the cure. For example, if two instruments are sharing common frequencies and you want one to stand out, don’t boost the frequency for that instrument. Cut the frequency of the other. Lowering other channel volumes can bring the boost to the single channel that you need. Louder isn’t always better. One last VERY HELPFUL TIP! If you are having troubles with cleaning up a male vocal, take a 3-6 dB cut in the 325 to 350 Hz range. this is where a lot of the muddiness in a vocal can be found. Vocal EQ is where the science of audio manipulation is surpassed by the art of audio manipulation. The above tips I mentioned might get you exactly what you want to hear when you EQ vocals. But more than likely, they will only point you in the right direction that will eventually lead you to the sound you want. Listening to several genres of music, you can hear the different types of vocal EQ for that style of music. Then you add in individual taste in EQ. You might think that a singer’s vocal EQ is perfect but they think it needs more breathiness or more brightness or more bass. It’s quite subjective, sorry to say. Using some foundational eq’ing to get started. EQ in a way that matches the style of music you are mixing – listen to the same song from a professional recording to hear it. In time, you will find yourself performing less of #1 and #2 and more of #3. 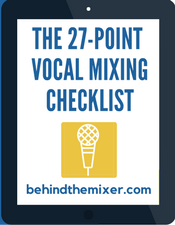 Do You WANT TO LEARN EVERY ASPECT OF MIXING VOCALS? 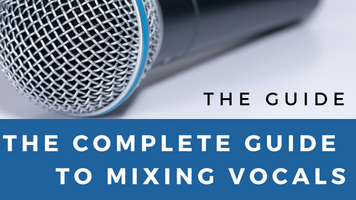 Check out my FREE 10,951 word Vocal Mixing Guide! I’m having trouble mixing so that certain instruments and or vocals do not occupy the same frequencies. I don’t seem to be able separate some guitar frequencies and not get the vocal muddied up. Also I tend to loose some of the keys without just making things louder. Any suggestions? We’re running a Allen & Heath GLD 80 digital board. Love the board, just need to learn how to layer the instruments and vocals. Been playing with the parametric EQ. Thanks for you help. Next time you mix, start with the vocals. Then, bring in other instruments and the minute you notice they interfere with the vocal, apply a cut to that area for the instrument. And easy way to find that area is apply a 6dB cut to the mid-range and sweep the frequencies to find where it suddenly clears up. Thank you so much! I went step by step, EQ-ing as you describe—just from those first five steps, and the vocals fell right in line. Excellent advice. Very well explained. Cant wait to put this in practice ! Wow, thanks a lot for this tips, it worked like magic. Fantastic article. Super helpful, I finally got rid of that cheap sound from my acoustic guitar! how does this apply to a beheringer altra pro 31 channel graphic equalizer? 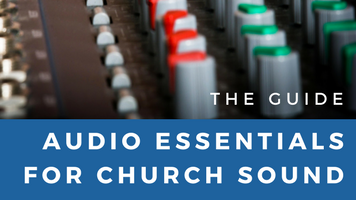 I am learning to run sound at our church and having trouble understanding eq. some one has set our eq at what looks to be odd settings, the first few slides on the left ( 20, 25 31.5 40 and so are set all the way to the top +12 for 20 and just below that for the others. and its a smily face type all the way to the last slide on the right wich is all the way up as well. this seams odd to me. can you help me understand theis please? It’s hard to make a judgement call without hearing the room. But my thought is it’s wrong. You shouldn’t be boosting all those lows by that much. Take note of all the settings and then move everything back to zero. Play something through the system, such as an audio CD and with that channel’s EQ set to flat, tweak the house EQ to meet how it should sound. If you don’t have subwoofers in the room, then boosting the lows +12 is only going to stress the speakers and you lose quality at all frequencies. Thats what I did. Turned all frequencies to ZERO. For a lay person, Zero means “nothing”! But for musicians, Zero means a lot ? Try it ! It will sound great. From there make tiny adjustments. Im new at these i to be advance in vocals eqing, thats only my failer thak so much. 1. What do you have in hand. Everyone likes to look through the latest book of goodies, but you still have to “run what you brung”. 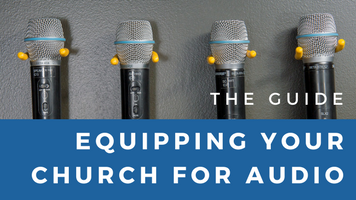 Learn the EQ curves of your mics (the little sheet of paper that comes with most mics will help you here) and set your PA accordingly. 2. What does the venue require? While it looks impressive to have a zillion watt system in the venue, typically, a small system, properly optimized and rung out, will sound BETTER in the room than a large, overpowered feedback generation device of a system. Makes for less to haul, too. 3. Gain, Gain, Gain. Gain structure is the single most overlooked component of EQ’ing anything. If the gains are set correctly, you can almost avoid any EQ really….and allow the sweet tones of the voice/guitar/whatever to come through and sound natural….which, at the end of the day, is the goal – isn’t it? Lastly, when we say “do what sounds good to you”, we may have an issue of “evil ear” – an operator who’s ear is not tuned to a real sound palette that has anything of substance to it – the result will be a muddy mess or the sonic equivalent of an am radio played through a tin can…..so research and a LOT of listening to great sound systems is a HUGE benefit in this area…..
John, those are great tips! Freddie Mercury, Madonna, Bono, Meatloaf have all used Shure 57/58 dynamic mics in the studio. I found the article to be very helpful (despite its apostrophe catastrophes) and will be trying some of the hints and tips provided. Chris, PS — I forgot to tell you that my mixer is connected to a feedback destroyer and then a crossover — if that matters. Anyway, my main question is to either go with an Equalizer, or a Vocal Processor for my next step. I’ve tried one TC Helicon Voicetone T1 product already — but I got alot of feedback, so I just went back to the basics. So, do I just live with it; or can you aim me in the right direction for what I should do next? Thanks again. I tend to say go with the multi-band EQ. Go for the “big picture” sound and you’ll likely get a better vocal sound as well. One thing to note about feedback eliminators is they work by temporary pitch-shifting. As you can imagine, pitch-shifting is not a good thing all the time. 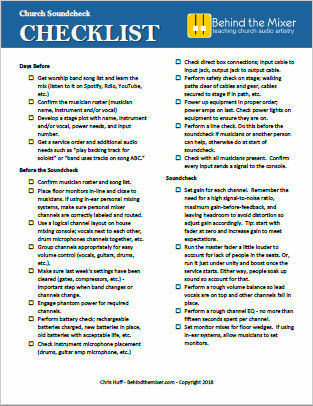 Nail down the feedback problems and you’ll also likely get better tone. 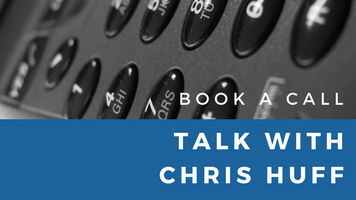 Chris, If I had a choice between a 31-band equalizer for my jam room, (even though I already have a built- in 7 band EQ on my Behringer mixer), and a vocal processor (such as the TC Helicon products or a Boss VE-20) — which way should I go? I’ve been trying to get that perfect vocal tone for 2 years — and even though I’m getting close — I think I’ve maxed-out all my options with what I have, and I’m getting frustrated. Any advice or help? i’d appreciate it very much. Thanks. Most boards have EQs that are too generic for all instruments. In the studio it’s not uncommon to boost vocals at 15k. I’ve also seen a few studio engineers who weren’t so great at live sound especially when mixing the bass. A good bass player will have a preamp with eq setting specifically for that instrument. Learn those frequencies and use them on you live PA rig. Most rock guitar sounds great coming out of a guitar amp through 12′ inch speakers, with the eq settings on the amp. Get to know what freqs a guitar amp uses. Bass freqs do tend to take up a lot of sound space, but instead of cutting the lowest frequencies, yo can give the effect of huge bass drum and bass sounds by using something like the Earthworks Kick Pad which cuts a wide band at 300hz or so. Sometime it’s more about subtraction that addition. And don’t be afraid to try messing with extreme freqs with vocals. Check out the freq chart on microphones. The audix encore 300 stage condenser boosts at around 15k.